Published in the March 5, 2014, edition of the Columbia Missourian. Used with permission. Columbia, Mo. (March 9, 2014) — Three Missouri School of Journalism students are among the 12 from the University of Missouri who will build a school in Nicaragua this summer to ensure that more girls are educated in the rural community. The women belong to Circle of Sisterhood, a collaborative Greek philanthropy that fosters access to quality schooling. All of them belong to campus sororities affiliated with the MU Panhellenic Association. They will spend a week on the project. 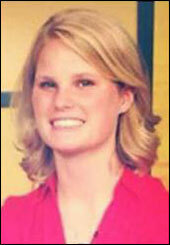 The journalism students participating are Madeleine Ptacin, Sigma Kappa, of Arlington Heights, Ill., a sophomore. Sara Driscoll, Sigma Kappa, of Chicago, is a junior majoring in strategic communication. 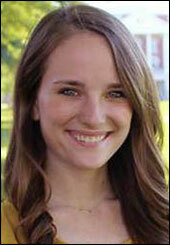 Paige Tenkhoff, Pi Beta Phi, of Franklin, Tenn., is a senior majoring in strategic communication. MU Panhellenic gave the Circle of Sisterhood $20,000 toward the $55,000 needed to build the school. In addition, each woman going to Nicaragua will have $875 from Panhellenic to spend on building supplies, food and living costs. Women will be paired up to live with host families. They represent six Greek chapters on campus. Applications could be submitted from any women who belong to a sorority. Eighteen applied for the 12 spots, said Jamie Beard, vice president of public relations for the MU Panhellenic Association. The Circle of Sisterhood raised money for other expenses through a crowdsourcing site called CrowdRise and a 5K held in September. The Circle of Sisterhood Foundation is a national group of sorority women who help uplift women around the world from poverty and oppression, especially in education, according to its website. The school in Nicaragua must have 50 percent female enrollment. In the last three years, the national organization has served other women and girls in 16 countries on four continents, most recently in Senegal, West Africa. Nicaragua will be the first trip for the MU Circle of Sisterhood, Beard said. The Panhellenic Association adopted Circle of Sisterhood as its council-wide philanthropy in March 2013.